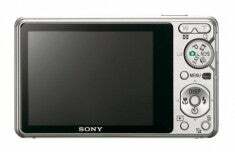 Along with the new W210 and W220, Sony has announced the 10.1 megapixel Cyber-shot S950. This model packs in a 4x optical zoom, SteadyShot for reduced camera shake, Face Detection for up to eight faces, a high sensitivity mode up to ISO3200 and 2.7 inch LCD. This model is said to be perfect for those new to digital photography with simple shooting menus and a choice of six easy-to-use Scene Selection modes. There’s also an Easy Shooting mode that simplifies operation while offering on-screen instructions. 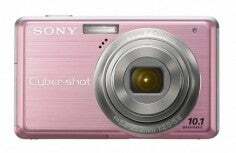 This model, along with all of the new arrivals to the Cyber-shot range also offers Picture Motion Browser 4.0, which is the latest version of Sony’s image management application designed to simplify sorting, viewing and searching through photos and video clips stored on your PC’s hard drive. The S950 will be available in silver, pink or black finishes, and will be available from February although we don’t have a price as yet. Visit Sony’s website by hitting this link for more specs.